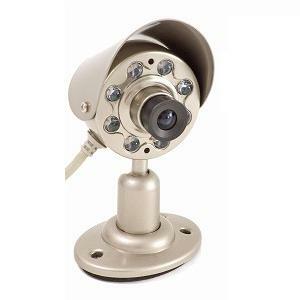 Home > Surveillance > QSICC1PK Q-See Nightvision Color Outdoor Camera w/400-Line 1/3" Image Sensor, Waterproof, 60' A/V Cable! The QSICC1PK features a 1/3-inch Color Image Sensor, 400 TV line resolution and a easy to install setup. With 6 infrared LEDs, you can see up to 16.5-feet in low light or dark environments. Just plug in the A/V Composite Cable/Power Cable and stay in tune to whats happening in your home!